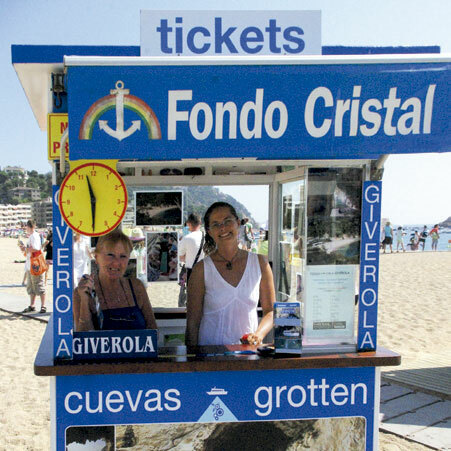 Don´t miss out on seeing the wonderful caves and beaches along our coastline or admiring the fascinating seabed whilst on board our glass-bottomed boats. 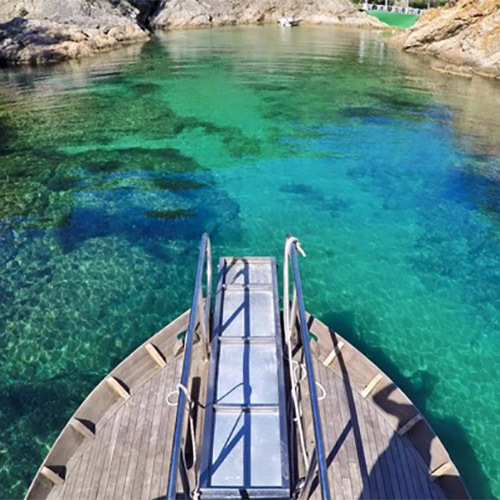 In addition, if you prefer to enjoy some quiet time on a beautiful beach away from the crowds, you can disembark and spend a few peaceful hours in Cala Giverola and enjoy a refreshing swim. Uninterrupted departures . 40 minutes journey out from Tossa, 20 minutes return. 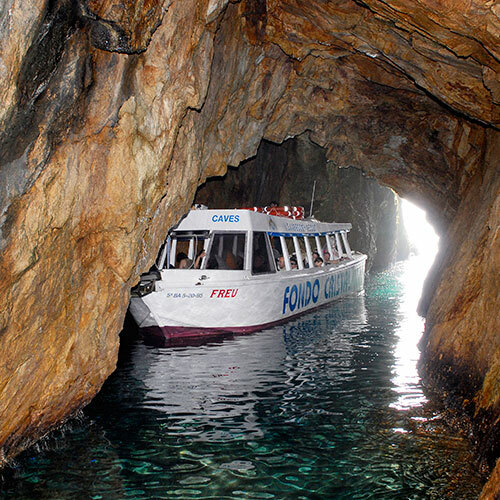 We visit 3 caves and 3 coves. The boat has exterior lighting for inside the caves. Departures are from April to October. 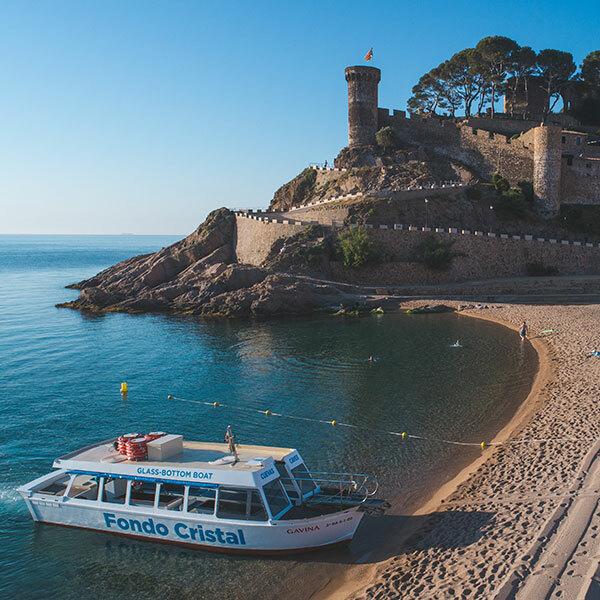 Main beach, Tossa de Mar. 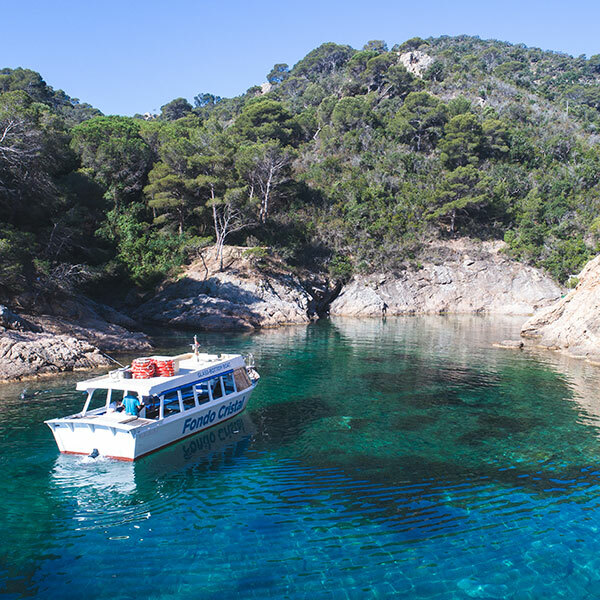 Enjoy a delightful one-hour excursion without getting off the boat or, if you prefer, you can stop at Cala Giverola (or in Tossa de Mar, if you have embarked at Pola / Giverola). 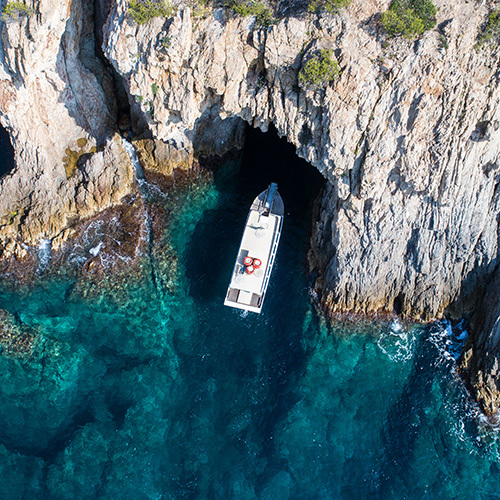 The cave, Cova d’es Bergantí is a fascinating little alcove just before the entrance to Cala Bona, with a small beach at the end. 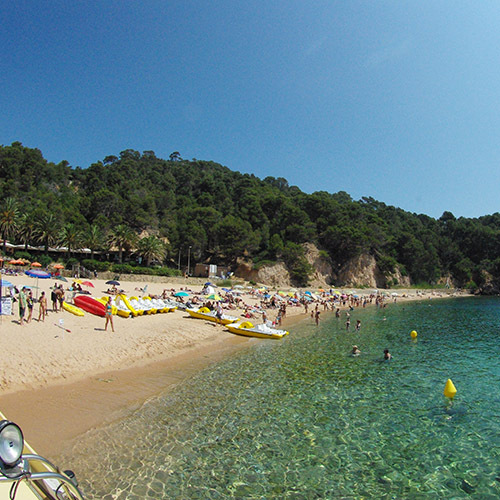 Snorkelling is one of the activities most practiced in this cove, there is good protection against waves and wind. 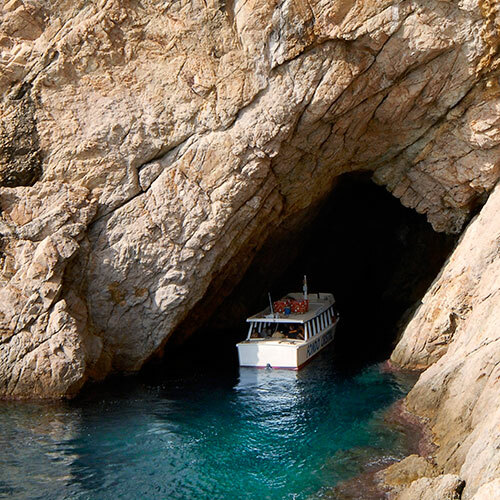 The Cave of Cala Bona, as its name indicates, is protected from all winds. It is an idyllic spot for some peace and quiet. 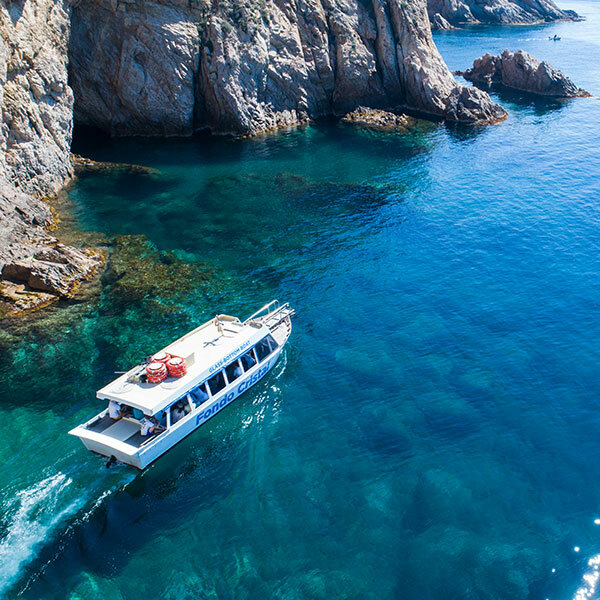 Cala Pola, about 75 meters long, is embedded in a rocky cove that gives it a special beauty. In the cave, “Cova d’en Cateura”, a pair of cormorants are currently nesting. 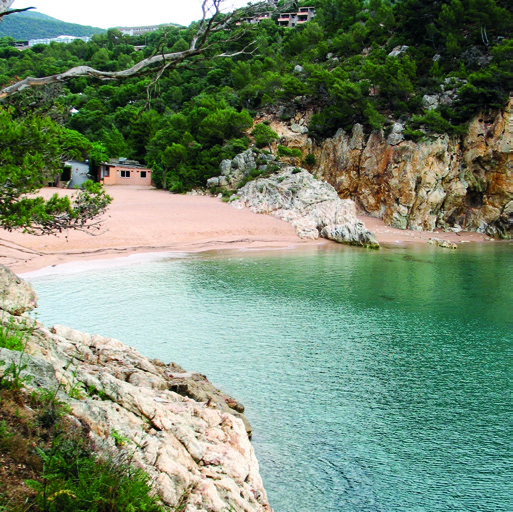 Cala Giverola is relatively large, about 175 meters long, with fine, soft, golden sand. 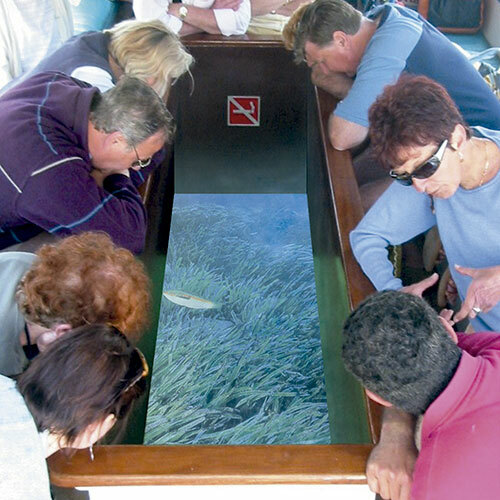 Admire the fascinating seabed aboard our glass bottoms boats. Tours have limited spaces so book your ticket in advance. BOATS WITH LIMITED. BOOK YOUR TICKET IN ADVANCE.